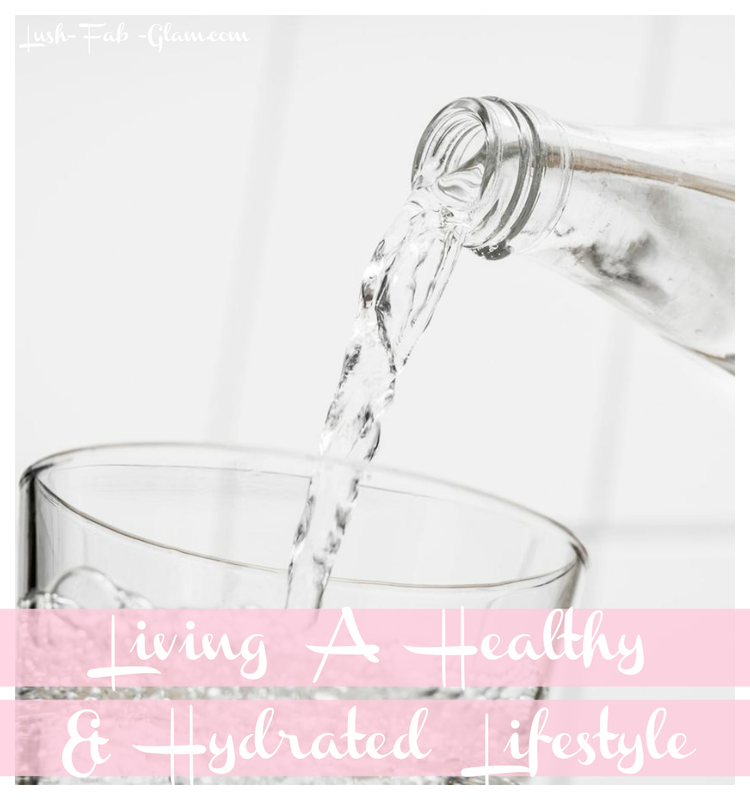 Lush Fab Glam Inspired Lifestyle For The Modern Woman: Living A Healthy And Hydrated Lifestyle. Living A Healthy And Hydrated Lifestyle. It's easier to ensure that we are well hydrated and healthy in the warm spring and summer months, when the heat easily causes to feel thirst and sweat. The cold winter season however does not have the same effect and it's easier for us to overlook drinking the adequate amount of water that our body needs to stay healthy and well hydrated. Having a good workout plan and making time to exercise is essential in the winter season. Whether you enjoy jogging outdoors, swimming in an indoor pool, heading to the gym or exercise by doing yoga and stretches from the comfort of your home. Staying active will help to keep you in shape, keep your muscles moving and most importantly keep you healthy. Like the planet our bodies are made up of 70% water. Even at the slightest level of dehydration our bodies compensate to conserve energy by slowing our metabolism and decreasing our total energy expenditure. This is why you may feel fatigued and less alert. It is important to ensure that you drink adequate amounts of water on a daily basis since it can help improve your health and well-being. From increasing your energy levels to regulating your circulation and digestion to improving your skin complexion. 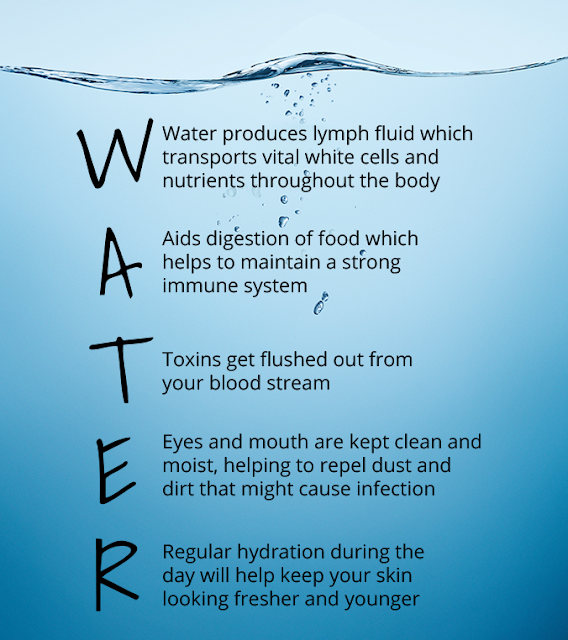 The image below shows just how important water is to our bodies and how we benefit from being well hydrated. The key is to Stay hydrated by aiming to drink 48-64 oz of water a day. However with our busy schedules that's easier said than done. That's why I recommend using the new Thermos Connected Hydration Bottle with Smart Lid to keep track of your daily water intake. 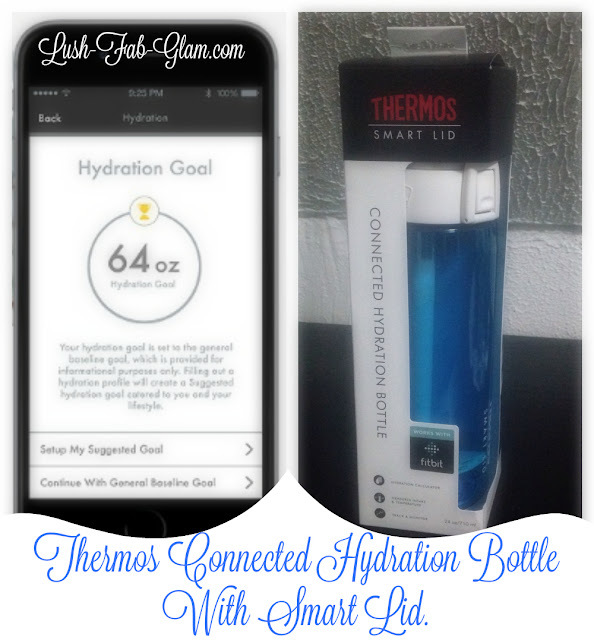 I recently had the opportunity to try the cool new Thermos bottle with smart lid as well as the free Thermos Smart Lid app that automatically helps you keep track of your progress and water consumption and it's been a game changer for me. The best part is that it not only alerts you when you have not drank enough water for the day but it also lets you know when you are making the mistake of overhydrating, which can lead to a loss of appetite, nausea, vomiting, headaches, muscle weakness and fatigue. I love that the Thermos bottle with smart lid is light, easy to carry around, impact resistant and pretty sleek looking. I especially love how my hydration stats sync to my Fitbit account every time I finish a bottle of water, it just makes staying hydrated much easier. I now drink a lot more water than I used to everyday without overhydrating and I easily noticed the difference as I became more alert, productive and less fatigued throughout the day. The Thermos Connected Hydration Bottle with Smart Lid retails for $59.99 and can be purchased online at Thermos or at selected retailers including Amazon. Click Here to visit the Thermos Website to learn more about the technology behind the Thermos Connected Hydration Bottle with Smart Lid and to try it for yourself so you can get a head-start on your new year #HydrationGoals. Finally remember to rest. Getting a good night's rest and even sneaking in a few daytime naps to makeup for those late evenings when you have a deadline, project due or attended a late night event goes a long way in ensuring that you are fresh and ready to take on the day. 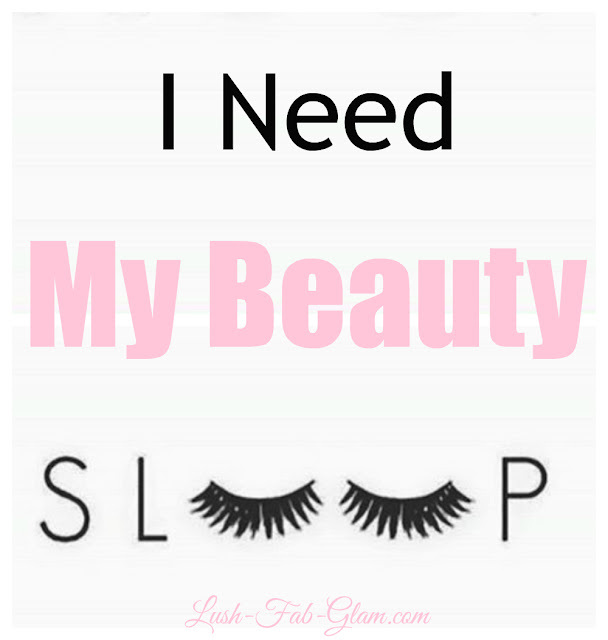 Plus getting your beauty sleep and being well rested helps us look and feel good (that means no droopy lids or dark under eye circles/ swelling.) Getting proper rest also regulates different hormones that control our satiety and cravings throughout the day, so we eat less of those unhealthy snack foods. As our schedules get busier it's easy to neglect our health and fall off our usual healthy lifestyle routines. Try the tips we recommended above to stay active, healthy and hydrated this winter. How do you stay active and properly hydrated and would the new Thermos Hydration Connected Bottle with Smart Lid make it easier for you? Share with us by leaving a comment below. So I planned a ten minute circuit that includes a short flight of steps and a not too steep incline. I power walked that route every day and felt really good.